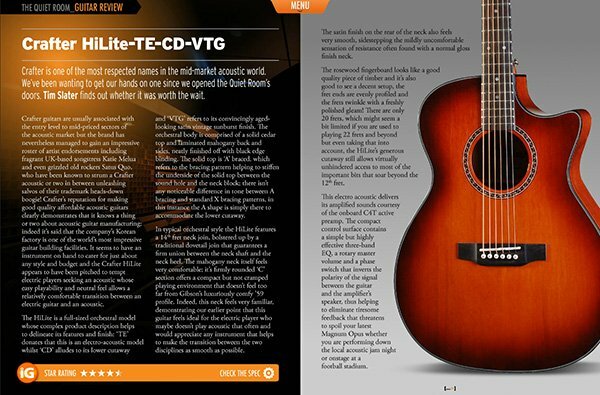 We’re thrilled to bits that iGuitar have started to review Crafter guitars for us. 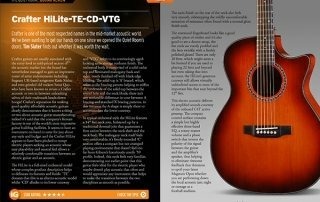 For the first outing in their quiet room studio for rigorous testing, they took on the HiLITE TE CD/VTG and they really liked it! No wonder they’re so popular! You can view the online review here but there’s also an interactive link to the magazine here. Here’s what Tim Slater had to say about the HiLITE.